Manufacturer of a wide range of products which include 90 sr elbow, welded elbow, street elbow, ss 304 elbow, 45 elbow and red- tee elbow. Our company is the major in offering 90 SR Elbow to the clients. 90 SR Elbow is rigorously tested upon various measures by quality checkers. These products are widely demanded by clients. Offered range is manufactured by using premium quality raw material and superior technology under the direction of skilled professionals in line with industrial market standards. Our company is the major in offering Welded Elbow to the clients. Welded Elbow are rigorously tested upon various measures by quality checkers. These products are widely demanded by clients. Offered range is manufactured by using premium quality raw material and superior technology under the direction of skilled professionals in line with industrial market standards. Being a quality conscious entity, we are committed to providing the best quality Street elbow. 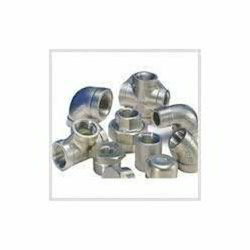 Fabricated by using the best quality of stainless steel, these products are used for joining two pipes together. Our skilled professional conducts various tests to ensure the top quality product is delivered to the client. 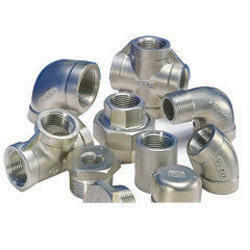 With profound obligation towards preeminence, we are enthusiastically involved in offering to our customers an inclusive assortment of SS 304 Elbow. Making use of supreme class quality basic inputs and factory material together with highly modern tools, these presented provided are developed at well-fortified fabrication unit. Apart from this, these products are enormously famous in the market. With profound obligation towards preeminence, we are enthusiastically involved in offering to our customers an inclusive assortment of 45 Elbow. Making use of supreme class quality basic inputs and factory material together with highly modern tools, these presented provided are developed at well-fortified fabrication unit. Apart from this, these products are enormously famous in the market. Our company is the major in offering Red- Tee Elbow to the clients. Red- Tee Elbow are rigorously tested upon various measures by quality checkers. These products are widely demanded by clients. Offered range is manufactured by using premium quality raw material and superior technology under the direction of skilled professionals in line with industrial market standards. Our company is the major in offering Elbow 90 LR to the clients. Elbow 90 LR are rigorously tested upon various measures by quality checkers. These products are widely demanded by clients. Offered range is manufactured by using premium quality raw material and superior technology under the direction of skilled professionals in line with industrial market standards.